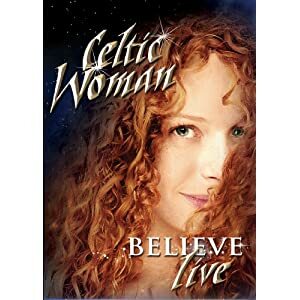 Celtic Women Week of Giveaways Continues! It is day 3 of Celtic Women Giveaway week here at MFM! Today, we have opened up the giveaway for an autographed copy of their new DVD Believe. To enter, look for the entry form on the right side of this page. There are 4 ways to enter and you have seven days to spread the word to your friends and family. If you have not entered to win an autographed CD, that is also still open as well. Click HERE to enter for that prize. If you just cannot wait to see if you are a winner you can purchase it at Amazon right now for only $12.99. Click HERE to get all the info.